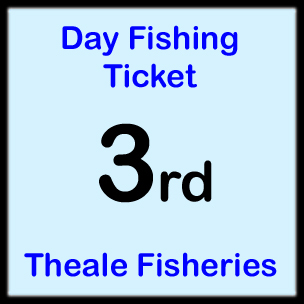 This ticket will allow one person to fish with a maximum of two rods on the Island Lake at our fishery from 7am untill 7pm . Please ensure that you have read all our terms and conditions, rules and codes of conduct before purchasing a ticket. You will receive an email from us which will include a link to your PDF format ticket. 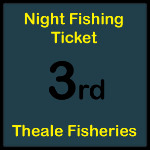 You will need to download this before you visit the fishery as it contains the lock code, a car park ticket and will be your proof of purchase for our onsite bailiffs. You will need PDF reading software on your device to be able to open and view this ticket. If you can please print off and display the car park ticket on you dashboard as it will help us to identify vehicles in the car park; however if you have no printer the electronic PDF ticket on your mobile device is acceptable as proof of purchase. 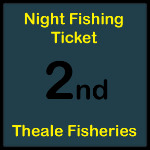 (c) Theale Fisheries 2012 - 2019 All images are copyright and cannot be used without permission.